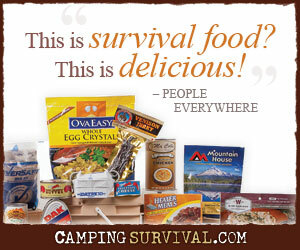 It is so very interesting that many-many ‘preppers’ forget this concept. it will be very interesting to learn about the preps that were done & used and/or not done & unavailable for this latest Sandy ‘storm’ … !!!!! Hopefully that’s the silver lining of Sandy – more people will recognize the need to prepare for themselves and not depend on the government to help them. You may not have won the championship games but you learned a life long lesson about preparation.